Daily Debate: Could a Hollywood-Scale Zelda Movie Work? With Nintendo leaning towards more dramatic releases (particularly Breath of the Wild‘s announcement trailer), many fans have began fantasizing about a Zelda movie. Of course, Nintendo has never been big on the movie scene. After their smash hit with Super Mario Bros. (1993), it’s taken them almost 20 years to release another film, currently scheduled for 2022. But if we forget the company’s logistics for a moment, how exactly would a Zelda film work? The first major stumbling block would, of course, be how to voice Link. A silent protagonist in every entry in the series, giving Link a voice now would surely upset many fans. On the other hand, protagonists are key to story telling, and the movie would benefit a lot from a speaking role. The story is another aspect to consider. Should the movie be based on an existing entry in the series? Or should it be its own thing, standing separate from the video games? The latter would certainly give the option of making the movie non-canon if it proved a flop with fans. One thing I’m sure wouldn’t be an issue would be the setting. 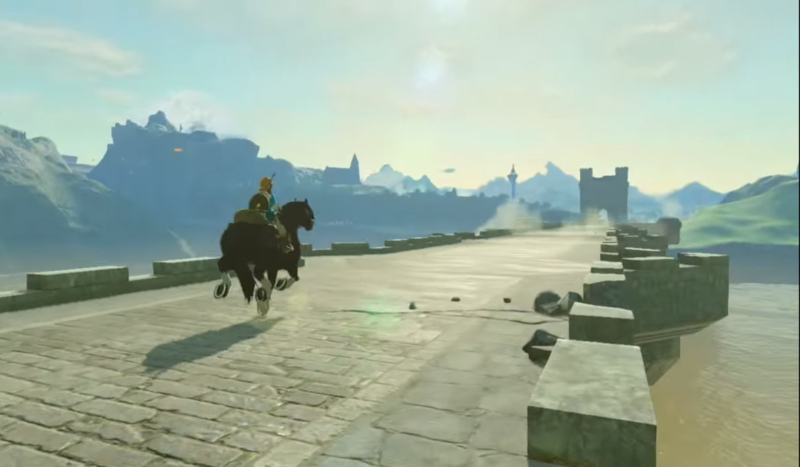 With Breath of the Wild‘s stunning open world locations, it looks like Nintendo has started getting the hang of world building, and a stunning Hyrule Kingdom could look glorious on the big screen. This Daily Debate was inspired by @Spiritual Mask Salesman on the Zelda Dungeon Discord. If you have an ideas for a Daily Debate that you would like to see published, join our Discord Channel and pitch it in #daily-debate!